Through philanthropy, together we can accelerate the scale and success of Monash’s international research to tackle the biggest challenges facing our region, and the world. Every research project we deliver is driven by one desire: to make a difference in the world. From advancing human rights to taking action on climate change, your gift towards research contributes to solving today’s biggest problems – before it’s too late. Director of Monash Sustainable Development Institute, Professor Rebekah Brown. Monash research is geared toward making lasting positive changes in the world, and taking on big challenges. In design and IT, our SensiLab uses state-of-the-art technology to improve the accessibility of graphics to people who are blind or have severe vision impairment. At the Monash Sustainable Development Institute we’re revolutionising water infrastructure and sanitation to improve health and wellbeing in informal settlements across South-East Asia and the South Pacific. These endeavours are only made possible by bringing together brilliant researchers and generous donors with a shared passion for pursuing a common mission. At Monash, we create an inclusive, engaging environment in which we can work together to pursue global solutions. Donors to research at Monash play a critical role in advancing bold, disruptive thinking to shape a better world. Chair, ClimateWorks Australia and Monash Sustainable Development Institute, Professor John Thwaites. In 2018, the Wellcome Trust (UK) awarded nearly $14.8m to an international research consortium led by Monash to improve water access, hygiene and sanitation in urban slums in Fiji and Indonesia. An anonymous donation of $3.9 million was given towards supporting people’s access to digital technology in Bangladesh and South Africa. 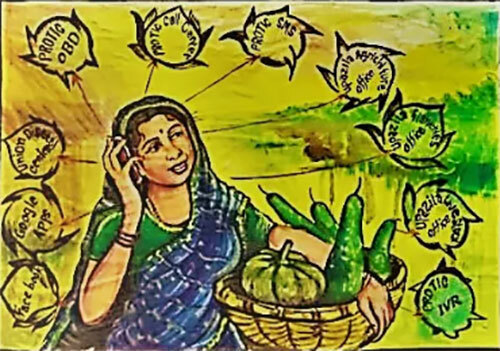 In partnership with Oxfam, Monash is improving the quality of life of people in isolated rural communities in Bangladesh through mobile phones.